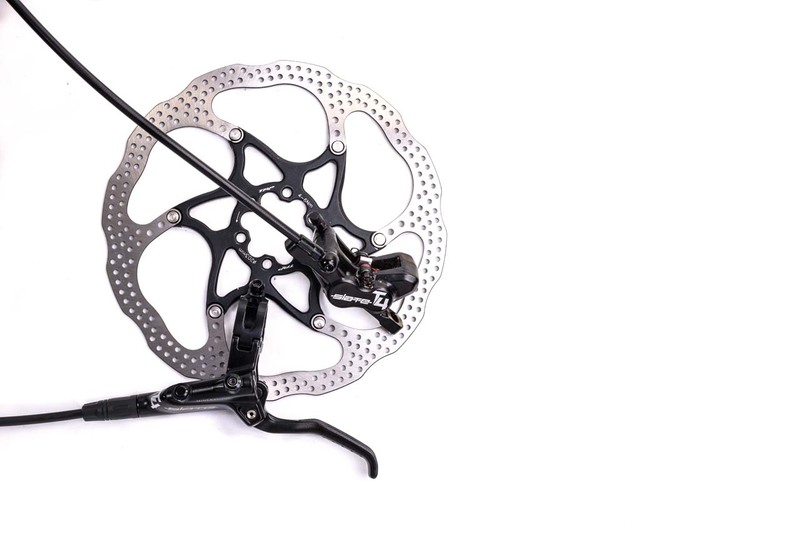 The Slate is a brand new brake from TRP, designed to replace its previous twin-piston offering, the Quadiem. As you’d expect, TRP has slimmed down the caliper and lever units to trim excess material, and what’s left is a very sleek brake. The caliper houses twin pistons – one set slightly smaller than the other – and uses banjo hose fittings, so you can smooth your routing to suit. Pads are top-loaded for straightforward replacement and bleeding is also quick and easy. 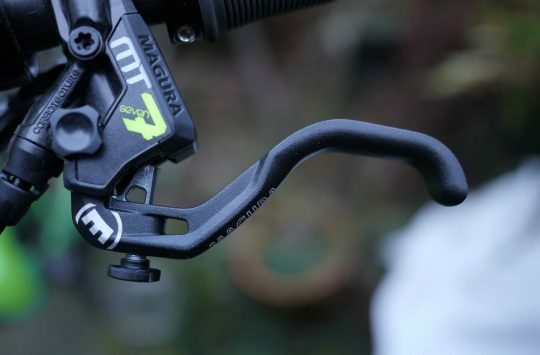 The levers continue with the ‘sleek and unobtrusive’ theme – no brightly coloured anodising here, just clean black. Reach adjustment requires a hex key, but the short, dimpled lever works nicely in the wet and the clamp is Matchmaker- and iSpec-compatible. 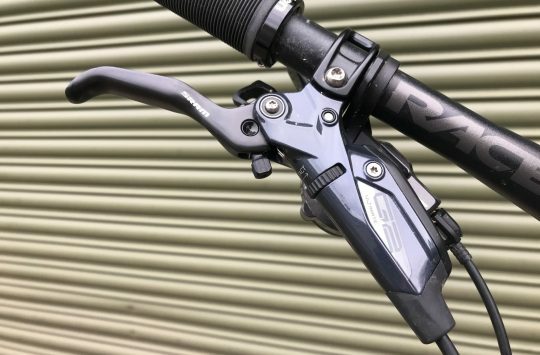 There’s no bite point or lever throw adjustment, but I didn’t find the Slate really needed it – it delivered its power in a perfectly reasonable fashion, thanks to those twin pistons. There’s modulation in spades, though don’t assume that ‘modulation’ means it’s slow to deliver – slam the Slate on and you’ll still slide to a halt in a cloud of dust; it’s just easier to tap into only a small amount of that power and feather your braking than it is with some of the bitier brakes on test. However, the single most surprising thing about the Slates is the RRP – I had to double check with UK distributors Upgrade that the listed £90-an-end price wasn’t a misprint (it isn’t). 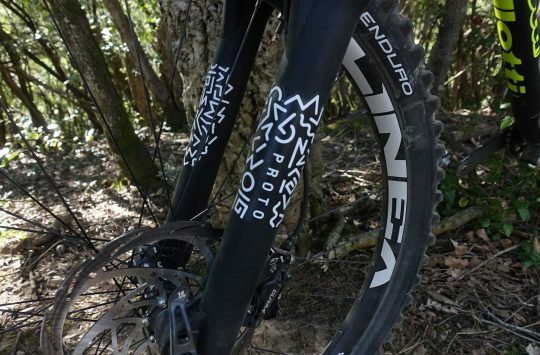 It doesn’t include rotors, so you’ll have to factor in the cost of those, plus mounts if needed – but you’ll be able to get exactly what you want, rather than being lumbered with stock boxsets, and use your own rotors/mounts if you already have them. Good value, acceptable weight and stacks of well-delivered power – lovely. Price: £89.99 per end, plus rotors (£34.99 to £39.99).